Both the TI-2510 and TI-2511 use 4 AA-size alkaline batteries, the use of rechargeable batteries found in the sibling TI-2500B is not possible. How rare is the TI-2511? 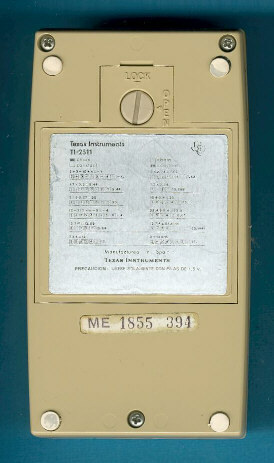 We located recently a TI-2511 with the serial number AE 01671 and manufactured in December 1974. A more detailed comparison between the seven known Datamath Versions could be found here. 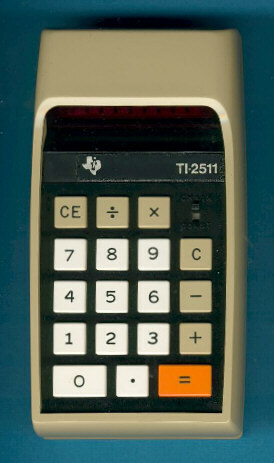 The last evolution step of the Datamath calculator was the odd TI-2500-II introduced more than two years after the original type.